If you own your very own swimming pool, then lucky you. 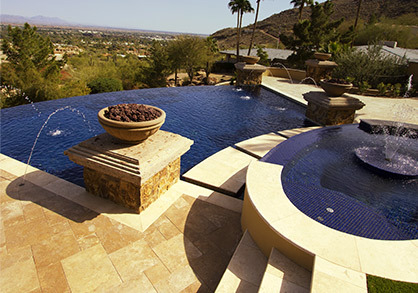 Here in Goodyear, Arizona, there are those who use their pools all year long. Now, there are some who take on the challenges of swimming pool maintenance on their own, but don’t really know what they are doing. Here are a few examples of what they are likely doing wrong. Most people are unaware that they should be checking the chemistry in their pools twice a week. In doing so, minor changes can be made when necessary, as opposed to waiting until things go too far south and major adjustments must be made. Many do-it-yourself swimming pool owners fail to clean the skimmer basket often enough. When these are full, it results in poor pool circulation, which often leads to big problems. 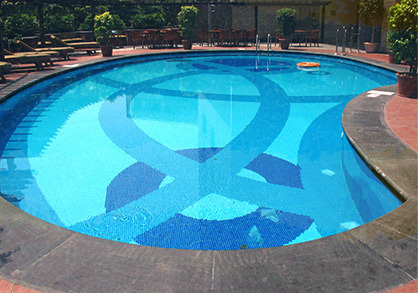 A properly functioning swimming pool is all about flow. Circulation is the key so you need to keep your pumps running long enough to assure this. Brushing your teeth on a daily basis keeps you out of the dentist chair. Brushing the tile and walls of your pool often will help elimate algae problems. Brush often. Look, we could go on and on giving you examples of how your not properly maintaining your swimming pool. 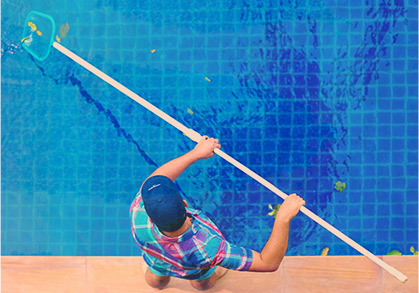 The point here is maintaining a swimming pool is a difficult task at best, as well as time-consuming, especially if you are doing it wrong. The question you have to ask yourself is would you rather spend time in your pool ar working on your pool? The choice is yours.